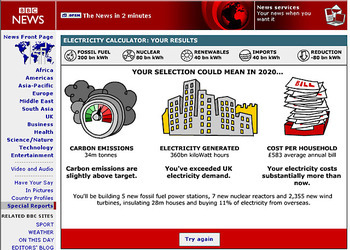 "Electricity Generated 360bn kiloWatt hours You've exceeded UK electricity demand. "あらら、増やしちゃった。家庭の支払うコストは、"Cost Per Household ￡583 average annual bill Your electricity costs substantially more than now. 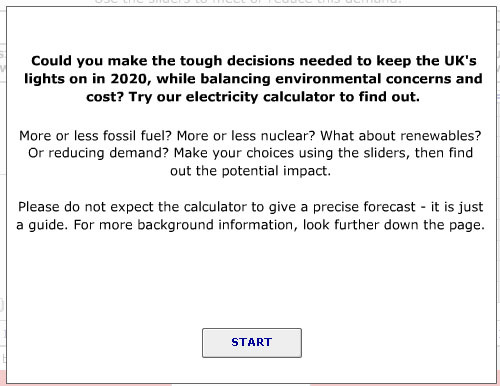 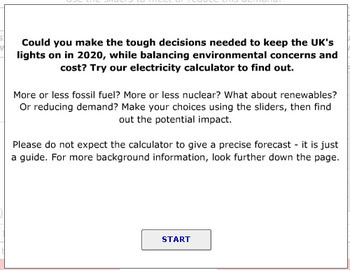 "さらに、"You'll be building 5 newfossil fuel power stations, 7 new nuclear readtors and 2355 new wind turbines,insulating 28m house and buying 11% of electricity from overseas."